Your business is intended to solve customers’ problems. Naturally, if they have questions, you should be there to get them answered. But if the cycle becomes repetitive, shouldn’t there be an easier way to make everything easy and still getting their answers found? That is what a FAQ section on your website can absolutely do for you. 00:21 Did you know that the FAQ section of the website is the most under used section? 00:48 If you keep on answering them, why don’t you consolidate the queries? 01:03 When answering questions, how can you lead them to the faq site? 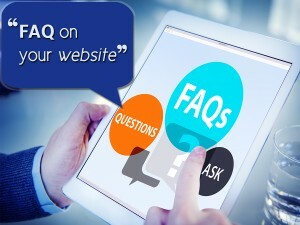 02:15 And do you know that FAQ can even help you optimize your site?